Dragon Legend cruise on Halong bay is built the iron and qualified steels, features 24 luxury cabins and 4 decks which are differentiate with excellent design, modern facilities, international standard, high safely level, a nice looking ship in the Bay, along with both inside and outside equipped with impressive open-air restaurants, sundeck area, spa, dramatic public spaces and other entertainment options. 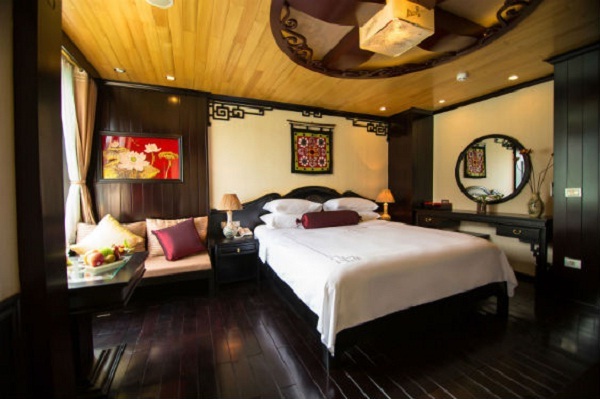 Each spacious cabin is an art of work with traditional decoration and modern facilities, private bathroom including Jacuzzi, big sea view windows. 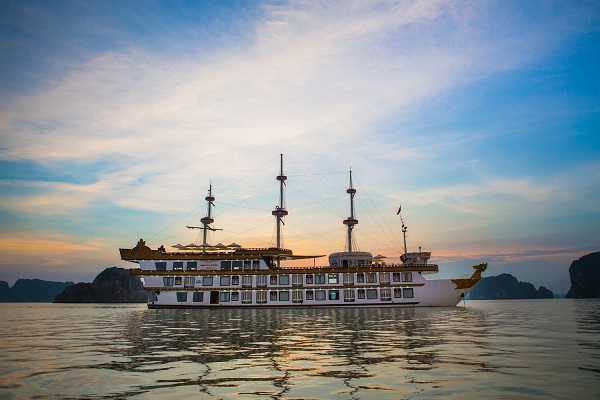 On Dragon Legend Cruise, you will be served a set menu, an à la carte menu and buffet meals with a diverse selection of delicious traditional Vietnamese cuisine composed of healthful balance of seafood, meats, vegetables and spices. The talented chef will entice your senses and completely satisfy both your taste buds and your stomachs. Cruising on the Dragon Legend Cruise, you can join our cooking demonstration. 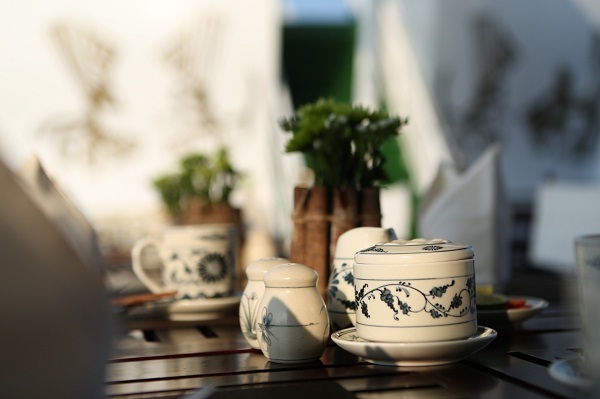 The chef shows you how to prepare some Vietnamese dishes. 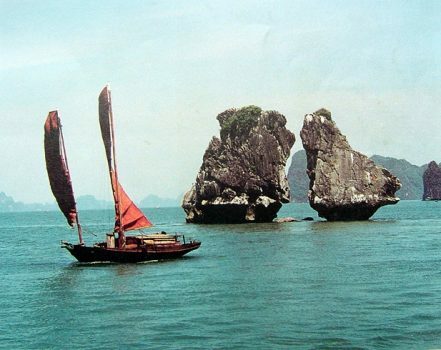 People said that Halong Bay is the biggest swimming pool in the world, not because of the water is calm, but also it is clean and beautiful. There are also some of the islands with natural white sandy beaches where swimming is possible. But you are suggested to dive from the junk, so that you could swim in anywhere on the Bay. 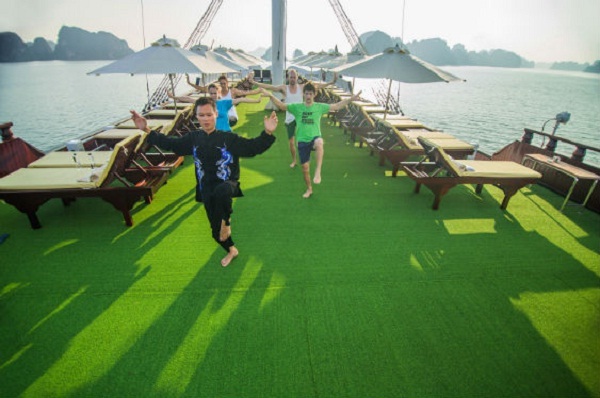 Usually, when cruising on the Dragon Legend Cruise, you will have a chance to go fishing at night. After a whole day packed full of activities, you will enjoy an amazing dinner in your private cave. Pass through the cave’s mouth and along the candle-lit pathway for the most enchanting of experiences.